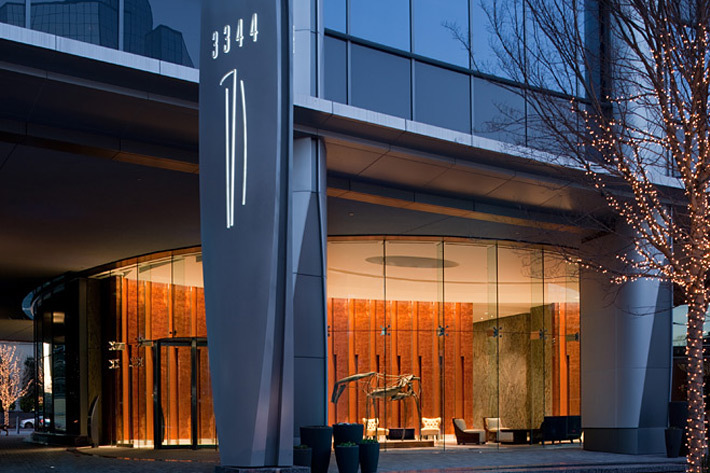 An architectural marvel that soars 635-feet into the skyline, Sovereign is a 50-story high-rise tower on Peachtree Road in the Buckhead district of Atlanta. With 600,000 square-feet of retail, restaurant and office space, this mixed-use urban development has won numerous accolades including a 2009 ULI Development Excellence Project of the Year award. CD+M provided architectural lighting design of the site, residential and office lobbies, 28th floor residential club and pool deck and façade. 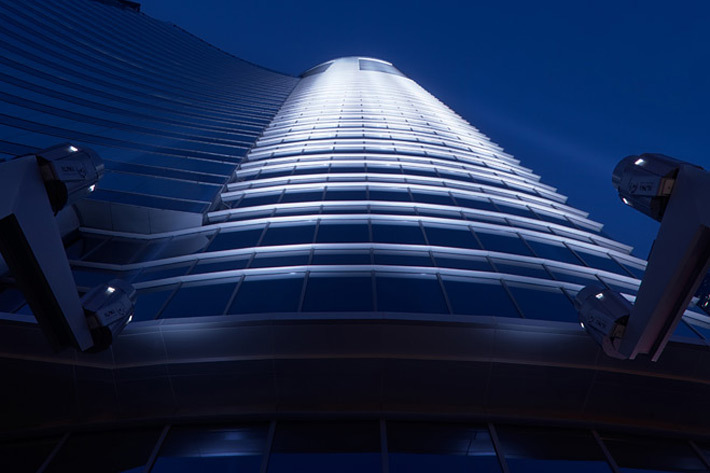 Custom poles located at street level support twin 4,000-watt spotlights which prominently illuminate the south façade of the building, which can be seen from a distance of more than 10 miles.